Industry Workshops - Bonus content provided by our Vendor Partners, included in your meeting registration! Speakers will openly and honestly discuss their evaluation of Immucor’s 5th generation fully automated blood bank instrument, Echo Lumena™. The luncheon includes a presentation of data on sensitivity and specificity as compared to comparison to their current Echo® as well as reaction images from both the current Echo and Echo Lumena. Verax Biomedical was founded upon the singular vision of detecting bacterial contamination in cells and tissues intended for transfusion and transplantation. Recognizing that bacteria pose a unique infectious challenge in these life giving tissues, we realized that novel approaches to detection were called for. While cellular materials are routinely tested for viral contaminants, bacteria have posed a long standing and heretofore poorly addressed challenge. Unlike viruses, bacteria can replicate outside of a living host, meaning they can grow in these cellular matrices during storage prior to transfusion or transplantation. This results in the unique dilemma of an infectious contaminant that can grow from unmeasurable low levels at the time of collection to massive levels at the time of transfusion or transplantation, posing a serious and often fatal risk to their recipient. Our vision is to create rapid tests that are practical to implement as close to the time of transfusion or transplantation as possible, thus enabling the detection and elimination of these contaminated materials from the inventory prior to their use. The first application of PGD technology is a test for use during Quality Control testing for the presence of bacterial contamination in human platelets. Motivating Leaders in Business and Life, ​​​​​​​​​​​​​​​Matt Jones, How do you keep motivated when faced with adversity? This is an important question for leaders of successful organizations. What happens when change, burnout, or stress threatens continual growth? How do you increase productivity through passion and perseverance? From developing greater resilience to living with greater passion, Matt shares practical strategies that can be used to overcome challenges and achieve greater success. Matt’s keynotes are based of his inspiring life experiences of overcoming cancer three times when doctors did not think he would live, surviving a bone marrow transplant, relearning how to walk, and completing seven marathons on seven continents. Less than three hundred people in the world have done this. For more information about Matt Jones please visit his website. Pretransfusion Testing in the Age of Genomics, ​​​​​​​​​​​​​​​​Connie Westhoff, ​ Typing for RBC antigens by targeting single nucleotide polymorphisms (SNPs) is now becoming commonplace, particularly for typing multiply transfused patients and typing for antigens for which there are no commercial reagents. The use of a genomics approach in routine transfusion medicine practice is not yet a reality as there are some limitations with SNP-typing. Next Generation Sequencing (NGS) is transforming the field of genomics because it allows analysis of the whole genome at a cost that continues to decline Patient genome sequencing as part of clinical care will likely become more commonplace, and this existing information will be useful for routine pre-transfusion testing. This represents a cost-effective and practical use of genomic information that could streamline pre-transfusion testing and improve transfusion safety. 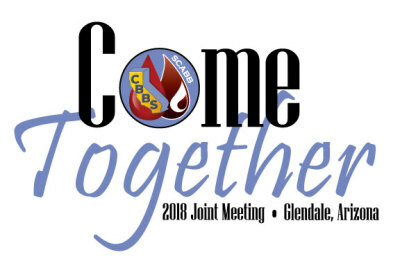 Theraputic Apheresis Case Studies, ​​​​​​​​​​​​​​Paul Eastvold, MD, MT(ASCP), Liz Rosenbaum-Marinaro, MD, Andrew Jones, MD MA Will present several case studies related to the use of plasma exchange to treat disorders such as TTP, aHUS and other autoimmune diseases. Goodbye Spectra, Hello Optia! ​​​​​​​​​​​​​​​Paul Eastvold, MD, MT(ASCP). This presentation will briefly go over some of the history of COBE, the key differences between the Spectra andthe Optia from an operator’s perspective and then some of thetransitional issues with the Optia, specifically its leucoreduction procedure that is still to be approved by the FDA. 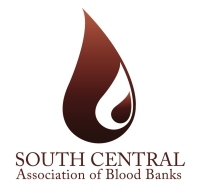 A Frequent Flyer – a Hurricane of Antibodies, Lorena Aranda, MSHS,BB,MT,SBB(ASCP). An elderly female from Port Lavaca with a diagnosis of CA/anemia. Her blood samples first presented to our Immunohematology for antibody workup in November 2016. Atthis time we identified one antibody. She has been chronically transfused since then. She has been treated in Port Lavaca, TX, MD Anderson, and Houston, TX, and most recently she was a Hurricane Harvey evacuee and was displaced in San Antonio, TX. Describe how attitude and appearance affect customer perception. An interactive session focused on identifying ways and means for increasing donor appointments, targeting new donors and ways to utilize social media to reach all donors. Shared Reality- Having Meaningful Conversations that Drive Us Towards Our Goals, Michael Rogers. Developing agreed upon communication and knowledge standards can help us be more successful. How we arrive at those standards and how we use them is key to our success. If you have any questions you would like answered by our panel of experts – this is your time to ask! Submit your questions via the Joint Meeting Mobile App email to scabb.org, or drop off at the Registration Desk. Barbara Bryant, MD, Richard Gammon, MD This session consists of discussions moderated by Dr. Gammon and Dr. Bryant on chosen hot topics of low titer group O, pre-op anemia programs, patient blood management metrics, and by participants. Different practices on how to address current issues are compared, giving rise to potential improvement in practices. Making contact with other medical directors in the area allows for furutre interactions and resources when issues occur. All are welcome to attend. Transfusion-Associated Bacterial Sepsis, ​Richard J. Benjamin MBChB, PhD. Bacterial sepsis remains the most common transfusion-related infection. Even with optimum skin cleansing, sample diversion and culture screening, 1:1,000-1:2,500 platelets contain viable bacteria. Low bacterial numbers not detected by culture can grow to life-threatening concentrations during storage. FDA draft guidance recommends additional interventions, including delayed re-culture, point of issue testing or pathogen reduction. Following discussions at a FDA BPAC meeting in November 2017, additional options are being considered, including anaerobic cultures, delayed sampling and enlarged volumes. Hemovigilance reports from the UK, Switzerland, Belgium and France are instructive. This presentation will comment on the options available to further protect patients.